The Maya - HISTORY'S HISTORIESYou are history. We are the future. The Maya civilization was the first and longest lasting of the three early American civilizations. 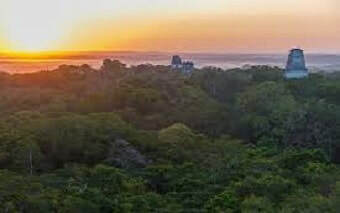 The earliest Maya settlers made their homes in Central America as early as 2000 BCE and continued to have a strong presence in Mesoamerica for over 3000 years until the Spanish arrived in 1519 CE. 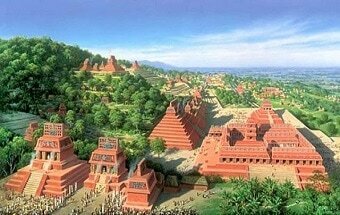 The Maya were a peaceful, agricultural people who were organized into powerful city-states. Over the course of Maya history, different city-states came into power such as El Mirador, Tikal, Uxmal, Caracol, and Chichen Itza. The Maya were the only American civilization to develop an advanced written language. They also excelled in mathematics, art, architecture, and astronomy. 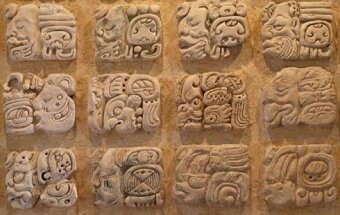 The golden age of the Maya civilization occurred during what is called the Classic Period from 250 CE to 900 CE. ​The place a people settle can influence - even determine - everything from the type of government they have and their religious practices to the types of jobs they work at and the kind of clothing they wear. The places the Maya settled posed challenges. The challenges, however, did not stop the Maya from building the longest lasting, most dominant civilization in the Americas. In this lesson, you will learn about Maya beginnings and about how they built the most advanced civilization in the Americas, including the first great cities. The city of El Mirador was home to over 100,000 people. The central center of the city had over a thousand buildings and covered ten square miles. El Mirador's tallest pyramid, La Danta, is one of the largest pyramids in the world. The 5 traits of civilization include record keeping and advanced cities. In your last lesson you learned a bit about the Maya cities. In this lesson, you will look at their writing, or record keeping system. In order to keep long-term records, the Maya invented the most advanced system of writing in the ancient Americas. They created their own unique system of hieroglyphics. Religion was at the center of Maya life and, like much of what we know about the Maya, it is complex, often confusing, and filled with mystery. The Maya believed that all of nature was sacred, and even inanimate objects possessed a soul. 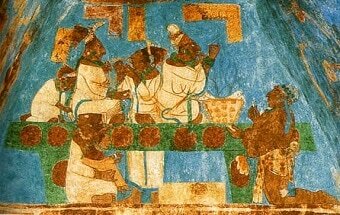 The Maya believed in many, many gods, who they honored with festivals and rituals and, yes, some rituals included sacrifice. 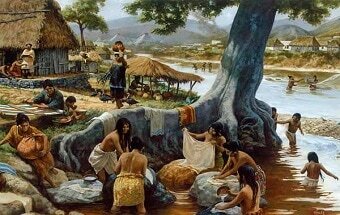 By looking at the daily life of the Maya, I think you’ll find that their lives were not so different from your own. The ancient Maya lived in cities and loved a good celebration. Their love of music and dance filled their lives with joy. They loved to dress up in nice things. They loved to play games. And, of course, they worked hard to fulfill their responsibilities to their families and to society. As in other Mesoamerican cultures, the daily life of the Maya depended on their social class. 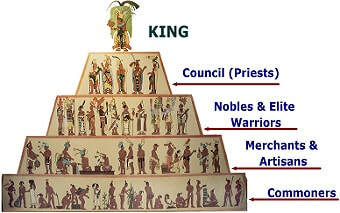 Aside from the king, nobles included priests, scribes, government officials, and elite warriors. The middle class was made up of the craftsmen, traders, weavers, potters, and other warriors. At the bottom of the social order were farmers, other workers, and slaves. The Maya were never a true empire existing under the rule of one king. Like the ancient Greeks they were a collection of independent city-states. 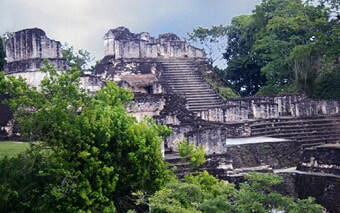 Like the ancient Greeks, Maya city-states were connected through a belief in the same gods. They also had a common written language and social structure. However, each city-state had its own king with one noble family in control. While the Maya did not have the wheel or metal tools, that doesn't mean that they were not very, very advanced. The Maya had a complex belief system, complete with its own mythology. They had an advanced government with well-defined laws. They built cities and roads to connect them to trade partners. In this lesson, you will learn about some of their other achievements. 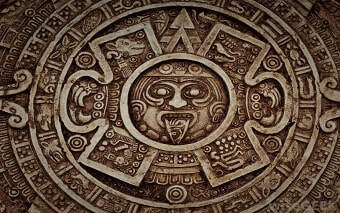 The Maya civilization reached its peak in the 6th century CE. By the early 10th century, the mighty Maya civilization began to crumble. Along with so many other things about the Maya, their decline is a bit of a mystery. 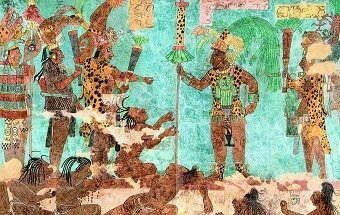 While it was once thought that the Spanish came and conquered the Maya, new evidence suggests a more complex picture.